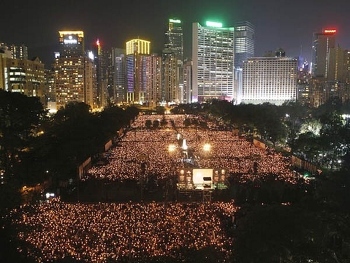 Once again on June 4, the anniversary of the brutal military crackdown in Beijing in 1989, tens of thousands of protesters massed in Hong Kong’s Victoria Park to protest against China’s one-party dictatorship. This year the dominant image was one of candles under umbrellas! A ferocious storm unleashed 30mm of rain upon the crowded park. This caused flooding and a power failure, forcing the candlelight vigil to be cancelled after just 50 minutes. 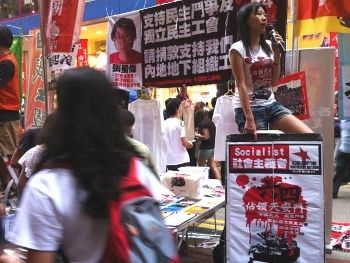 CWI supporters from Hong Kong and mainland China spent the whole day campaigning at our three stalls around the park, raising over 30,000 Hong Kong dollars (US$3,860) for our socialist struggle against the one-party dictatorship. We would like to thank all those who donated to our struggle – although a lot of the money was wet, it will still be put to good use! The turnout in Hong Kong, the only city in China where such protests are permitted, was around 150,000 based on the organisers’ calculations. As usual the police for political reasons reported a much lower figure, claiming 54,000 took part. The turnout and the defiant mood were impressive given that many participants (including this reporter) were soaked to the skin. The new leaders of China’s ‘communist’ (CCP) dictatorship have many reasons to fear this powerful response from a city where an intense democracy struggle is unfolding, which also serves as a gauge of growing anti-government sentiment across China. Inside China the anniversary of the crushing by tanks and heavy armour of the 1989 movement is heavily censored on social media. Repression and surveillance of pro-democracy dissidents is routinely stepped up in the weeks before the anniversary. This year, under the new leadership of Xi Jinping, state repression was even more pronounced than last year. Relatives of victims were again placed under house arrest along with other government critics, but more extensively. “We have not been allowed to go out for several days… it’s very inconvenient for me to even talk to you.” This is what Zhao Baozhu, the brother-in-law of Tiananmen veteran Li Wangyang told the South China Morning Post. Li who was sentenced to a combined 21 years in prison for attempting to organise workers’ strikes in 1989 and later refusing to toe the line, was found hanged on June 6 last year, days after giving an interview to Hong Kong television about his struggle. A youngster from Fujian province who had been filmed on Hong Kong television attending the candlelight vigil with a placard reading ‘Thank you Hong Kong’ was arrested on his return home. 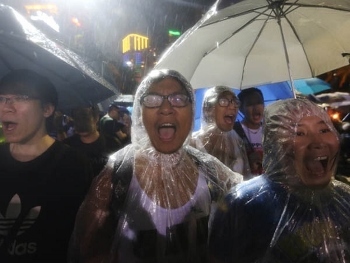 Despite the stepped up threats and harassment, over 10,000 mainland Chinese visitors are believed to have crossed the border to join the Hong Kong manifestation. The crackdown in the lead-up June 4 fits into a wider pattern of intensified state repression under the new princeling-dominated leadership (princelings are heirs of top ‘communist’ leaders including Xi Jinping himself). This leadership is promising the biggest wave of pro-capitalist structural reforms since the rule of Zhu Rongji fifteen years ago, but any hopes in a political relaxation have already been dashed. Ding Zilin, who heads the Tiananmen Mothers protest group, and whose 19 year-old son Jiang Jielian was killed by soldiers in 1989, was among 100 signatories of an open letter to Xi Jinping, condemning his rejection of democratisation. The letter entitled ’Hope fades as despair draws near’ accused the regime of taking “giant steps backwards” towards more authoritarian control. 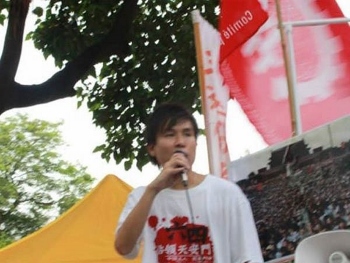 On the same theme, Lee Cheuk-yan who heads the Hong Kong Alliance in Support of Patriotic Democratic Movements in China, which organises the annual vigil, declared, “We’ve only seen tightening instead of relaxation since Xi Jinping came on stage”. This increase in repression under Xi, which confirms the warnings of socialists and the chinaworker.info website, and confounds the unreasoning hopes of China’s liberals at the time of last November’s leadership changeover, reflects a consensus within the ruling elite. This is to continue with and buttress the political formula of Deng Xiaoping – who ordered the 1989 massacre – of ‘state capitalist’ economic development and ‘market reforms’ going hand-in-hand with undiminished authoritarian control. Xi’s first months in power have seen an increase in nationalist rhetoric and some token anti-corruption measures. Both are merely a means to consolidate his control. He is increasingly invoking Mao’s name but only in defence of uninterrupted and unchallenged CCP rule – not in any way to emulate Mao’s ‘leftist’ economic policies. At the same time Xi has imposed a new ban on seven topics from discussion in university classrooms. The ‘seven unmentionables’ include press freedom, democratic rights, and significantly also “the privileged capitalistic class”. This underlines how ‘Maoist orthodoxy’ in the sense of authoritarian rule is being used to protect the power and ‘privacy’ of China’s super-rich elite. The strengthened grip of the princelings within the new leadership is a turning point in the evolution of the CCP state. The ruling elite rejects even partial democratic ‘reforms’ that would expose its incredible wealth to greater public scrutiny and could consequently open the floodgates of mass resistance. The dilemma facing the Chinese dictatorship, however, is that by screwing down the repressive lid even more tightly, the likelihood of a revolutionary explosion increases. The coming upheavals could overshadow the epic events of 1989. Within Hong Kong the vigil became more controversial and factionalised than in previous years. This is the result of growing radicalisation and a deepening governmental crisis, side-by-side with rising disillusionment with the completely ineffective role of the bourgeois ‘pan democrats’ – described as “gutless” by one newspaper columnist. Hostility to the CCP is mutating among some layers of youth especially into support for ‘localism’ (a separate Hong Kong state) and even anti-mainlander racism. The Alliance, which stages the annual vigil and is an unelected ‘small circle’ grouping, has lost authority in equal measure to the ‘moderate’ pan democrats that dominate it. A long process of political accommodation to the Chinese dictatorship has been underway – accepting its rule as inevitable and lowering expectations accordingly. This was reflected in the Alliance decision this year to tone down the demand to end one party rule, and launch the new slogan ‘Love the country, love the people’. This move backfired spectacularly. Ding Zilin of the Tiananmen Mothers, with whom the Alliance claim cooperation, slammed the new slogan as “stupid” and out of touch with the mood in China. Some Alliance leaders had hoped to use Ding’s campaign group to attack the ‘localists’ including the Hong Kong Autonomy Movement who called for a boycott of the vigil over its ‘Love the country’ slogan. The Alliance chairman Lee Cheuk-yan was forced to announce the abandonment of the controversial slogan four days before the vigil. He cited the dispute with Ding and the Tiananmen Mothers, but in reality the Alliance was facing massive criticism in Hong Kong and even feared the boycott could muster support. In actual fact the boycott campaign fizzled out and exposed the lack of real forces behind the ‘localists’ on this issue. The high turnout reflects the depth of feeling among broad layers to honour the fallen from 1989 and to continue the democratic struggle. But at the same time – as the Alliance leaders are keenly aware – their own authority has been dealt a further serious blow. Many who turned out in the torrential rain stated they were supporting ‘6.4’ but not the Alliance! After the event, the Alliance signalled a major ‘rethink’ of its approach for next year’s important 25th anniversary. But from its side the focus is entirely on technical and organisational aspects, not on the false political approach of those who run the Alliance – the ‘moderate’ pan democrats – in failing to confront or offer a strategy of mass struggle against the dictatorship. 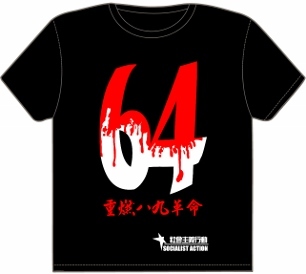 Socialists and the supporters of the CWI in China and Hong Kong have long criticized the top-down bureaucratic running of the annual ‘6.4’ commemoration, which has become more restrictive in recent years as the Alliance has stepped up its attempts to monopolise this event and to make it more difficult for all other groups to raise funds. The Alliance is dominated by the Democratic Party in particular and (note the irony in this) refuses to open up and democratise itself. This is a quite conscious policy to maintain control and keep out more radical forces that oppose political accommodation towards the CCP regime and its anti-democratic anti-working class agenda. 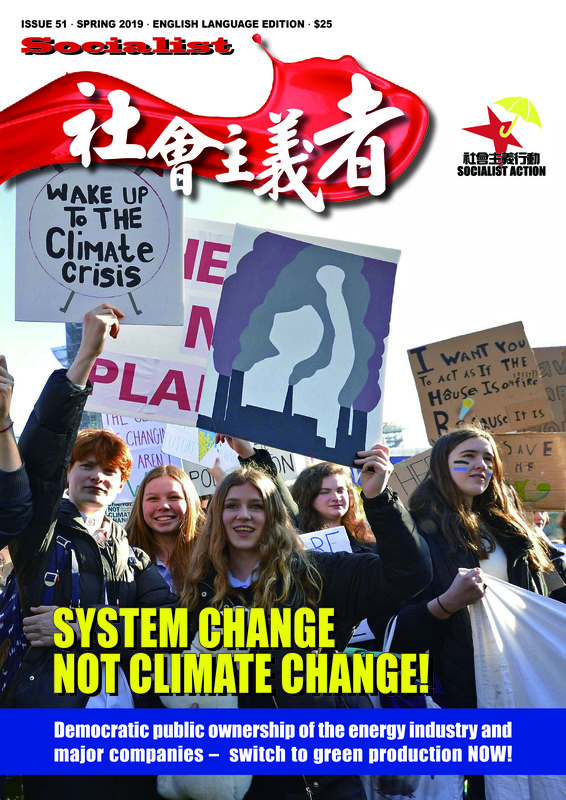 A similar pattern of attempting to impose ‘small circle’ control over mass protests was seen in last September’s huge school anti-brainwashing movement and in the plans for ‘Occupy Central’ (a pro-democracy initiative) in 2014. Socialists and all genuine fighters for democratic rights must oppose this top-down model for organising the struggle, which is a recipe for further missed opportunities and defeats. To succeed a mass struggle needs democratic structures and must be based mainly on the most exploited sections of society – the working class and the youth. This approach needs to be connected to a strategy of mass action and a conscious effort to link-up with mass struggle in mainland China against the CCP and its pro-capitalist policies, as the only way to defeat the dictatorship and achieve real democratic change.